Previous speakers included: Jonathan Shuttlesworth, Jerry Savelle, Henry B Fernandez, Benny Hinn, Edgar Holder, Steve Munsey, Tommy Deuschle and Bill Winston, but to name a few. This year's speakers included: Jerry Savelle and Dr's Andre and Jenny Roebert. 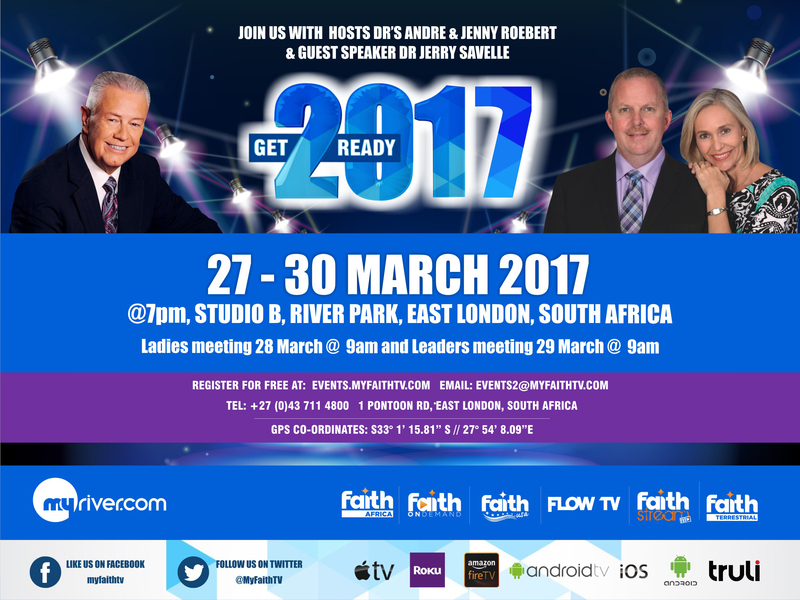 Get Ready 2017 starts on Monday 27 - 30 March 2017 at 7pm. All the evening celebrations are also televised live on DSTV channel 341, FlowTV on Sky channel 595 and Faith Terrestrial. Come and join us for 4 incredible nights as we start out the year on sound biblical teaching by great men and women of God. 27 - 30 March 2017.